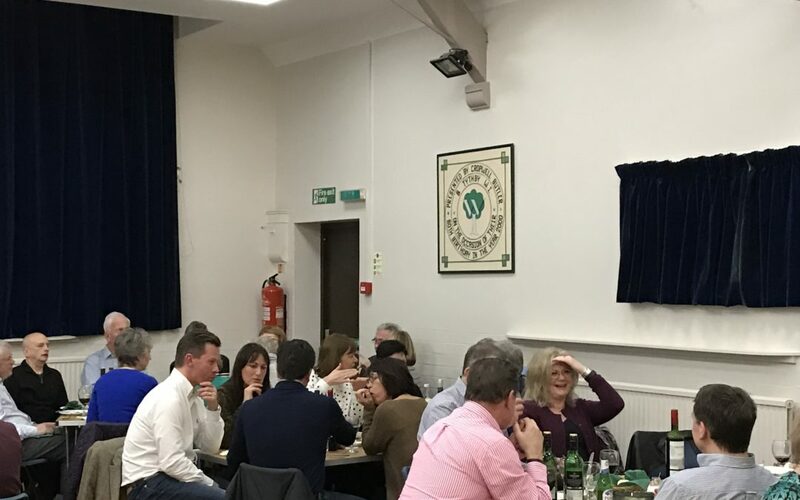 Almost 70 tickets were sold for the quiz on 18th March. There were 8 teams and, as always, each had to decide on a team name. This is usually the most imaginative part of the evening and there were many exotic suggestions. Marking the rounds became somewhat chaotic but somehow in the end the right team won. There was an Italian supper of Mediterranean meat, salad, lots of different bread which was served at the table as the 70 of us were such a comfortable fit in the hall. We don’t know yet how much we made but we ran a raffle and this was a credit to those who gave prizes and everyone who bought tickets.